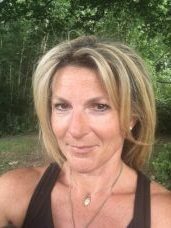 Louise is a fully qualified and insured Sports and Therapeutic Masseur, Advanced Personal Trainer, Level 2 Traditional Usui Reiki Healer, Stott Pilates Instructor, Circuit and Gym Instructor. She obtained her Diploma in Sports Massage in 2003 and has years of experience in dealing with all sorts of injuries and problems and indeed avoiding issues with regular, specific Massage. Louise is a member of The Complementary Therapists Association. She started out as a Tax Professional working in the Channel Islands where she is from. She changed her career path when she moved to the UK in 2000. She has a 13 year old son and a German Shepherd Dog. Sports / Deep Tissue Massage is not just for those who do sport, however if you are engaged in any sport either professionally or as a leisure pursuit then it is highly recommended. Importantly it can provide an early warning to the risk of potential injury but also help you to train / exercise at your most effective. It is beneficial both pre and post exercise but research has shown that post your sport or exercise it is highly effective to reduce pain, stiffness and muscle fatigue. It is also highly beneficial in the treatment of Repetitive strain injuries such as carpel tunnel, tennis elbow and frozen shoulders. It has also proved valuable in the relief of Sciatica, ITB issues and knee problems. Sitting or standing for long periods can be very wearing on the body causing imbalances. These can be aided and treated with Sports Massage. Sports Massage has a wide range of benefits including breaking down adhesions and/or scar tissue. It works by increasing oxygen and nutrient supplies to the muscles and by generating heat in the tissues, increased blood flow and metabolic rate. It can also relieve or reduce swelling and improve flexibility and the conditions of the joints. After sports and along with all the above benefits, a tailored deep tissue massage will reduce tension, relieve or reduce swelling, speed up Venus and lymphatic drainage and increase the permeability of cell membranes. Louise is able to draw on her extensive anatomy and physiology knowledge and Personal Training skills to provide a continued treatment plan for the client of exercises and stretches to aid and keep the body functioning as effectively as possible. Louise also teaches Stott Pilates which is a contemporary adaptation of the original exercise method pioneered by the late Joseph Pilates. It has been adopted bio mechanically with the collaboration of fitness, sports and physical professionals. It was a natural progression of her existing work as a Personal Trainer and Sports Massage Therapist together with my love of anatomy and physiology. Pilates is for all people, all ages and all levels. Pre existing medical conditions and injuries can nearly always be worked around and in her experience provide great improvement. Pilates strengthens your whole body and has incredible physical and emotional benefits. Louise provides all the equipment, all you need is yourself.